Virat Kohli who currently captains the India national team will lead the Team India in 2019 World cup. MS Dhoni who captained the Indian national team in limited-overs formats from 2007 to 2016 and in Test Cricket from 2008 to 2014 will Feature in his 4thWorld Cup. 15-Member Squad For 2019 Cricket World Cup Announced. 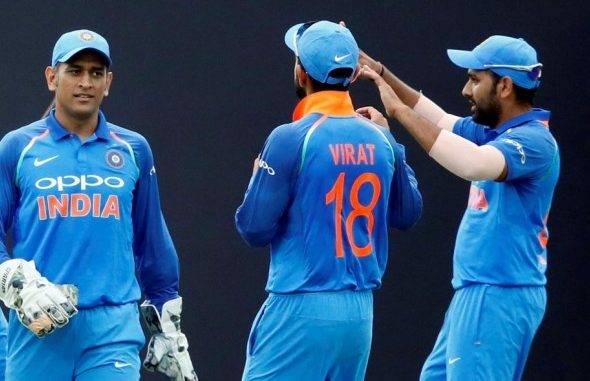 The Board of Control for Cricket in India (BCCI) on Monday (15th of April) announced India’s 15-member squad for 2019 Cricket World Cup. The World Cup which will take place in England and Wales from 30th of May to 14th of July, 2109. Virat Kohli who had earlier led India to Under-19 World Cup victory in 2008 is now going to lead the senior team in World Cup for the first time. MS Dhoni who captained the Indian national team in limited-overs formats from 2007 to 2016 and in Test Cricket from 2008 to 2014 will feature in his 4th World Cup. Virat Kohli (Captain), Rohit Sharma (Vice-captain), Shikhar Dhawan, KL Rahul, Ravindra Jadeja, Vijay Shankar, Kedar Jadhav, MS Dhoni (Wicket-keeper), Dinesh Karthik (Wicket-keeper), Hardik Pandya, Mohammed Shami, Jasprit Bumrah, Bhuvneshwar Kumar, Kuldeep Yadav, Yuzvendra Chahal.